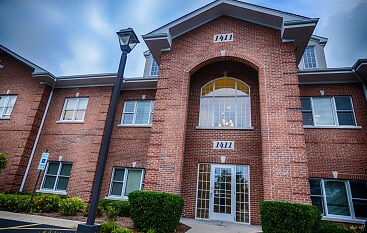 When you are referred to North Shore Smile Surgery by your general dentist, you will realize that we aren’t like your typical dental office or even other speciality practices. You will be hard-pressed to find a more thorough oral surgeon than Dr. Frank. With our comfortable atmosphere and superior surgical care, your choice for oral surgery in the suburbs of north Chicago should be North Shore Smile Surgery. When you enter our office, you’ll notice that it doesn’t feel “clinical” like a normal dental office because of our laid-back atmosphere. Dr. Frank has a reputation of doing things a different way in order to make your experience pleasant. We provide cookies and beverages at the front desk and replace the bright overhead lights that are common in most oral surgeons’ offices with more easily controlled headlamps that our hygienists wear. Also, we possess a state-of-the-art digital X-ray machine that is more comfortable and therefore will make your visit more comfortable. Dr. Frank wants to do the little things that matter to you! 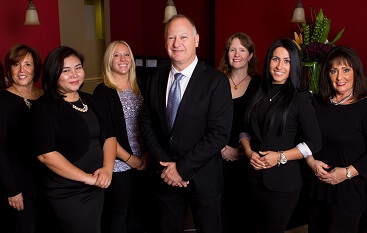 At North Shore Smile Surgery, we have gained a reputation with our patients for being good at what we do. As a practice that specializes in oral and maxillofacial surgery, the services that we offer are of the highest quality possible! In fact, this is why general dentists all over the city have referred their patients to us for such specialized procedures. Dr. Frank has worked hard to gain the trust of his patients with his superior services in oral surgery. If you are missing teeth, your oral health is at risk because of bone loss that occurs underneath the tooth. This problem can be fixed with a visit to our office, where you can receive dental implants. Implants act as the roots of the teeth and retain the bone that would otherwise be lost with your tooth. Dr. Frank has years of experience in the field of implant dentistry, and he will be excited to help you smile again – and completely change your life – with dental implants. When being referred by your general dentist to a practice that performs oral surgery, keep in mind that North Shore Smile Surgery is tops in wisdom teeth removal. 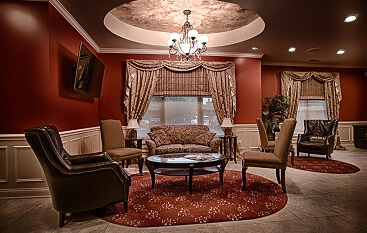 While the process may be similar to that of other Buffalo Grove speciality dentist offices, the expertise and comfort level that you will experience in our office will be second to none! Your procedure will be easy and painless! You’ll be satisfied with your experience! For any more questions regarding why you should choose us, contact us by calling 847-613-4933 or through our online contact form. We care about your oral health!